In many developing countries, ambulances aren’t readily available to bring injured people to medical centers. 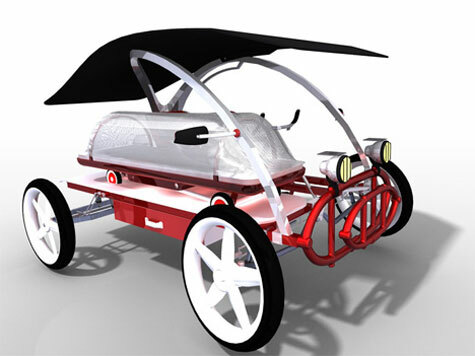 With that in mind, Benoit Angibaud designed the Jaambaaro, a pedal-powered ambulance that’s designed to help people in rural Africa transport the sick or injured to get medical attention. The Jaambaaro is literally a pedal-car with a stretcher, driven by two persons pedaling and assisted by electrical power generated from solar energy. Made of salvaged materials, and will hopefully fuel the local economy through localized manufacturing, thus making this vehicle not only sustainable but also fun for the kids.